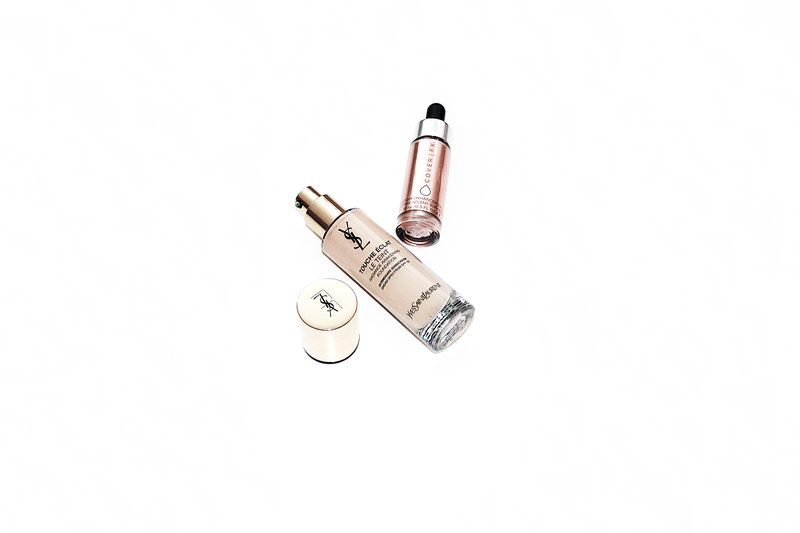 YSL Touche Éclat Le Teint Foundation : So basically I have this problem...where if Lou Teasdale raves about a product it's basically coming home with me as quickly as I can get to the mall to buy it. When she mentioned this foundation a few times, I decided it was worth a look into. I feel like I've been on a big BB/CC Cream kick for the longest time and was craving a true foundation in my stash - something with a bit more coverage and a bit more flawless. This foundation has great coverage (not too much though) but still allows the skin to look fresh and glowy. The color range is fantastic - it's even broken down into "neutrals", "cool", and "warm" toned shades which I find so helpful. The past few products I've tried have seemed to be too pink toned or too yellow for me. This shade is just right. Cover Fx Custom Enhancer Drops 'Moonlight' : It's a safe bet, that if everyone on Instagram is mega hyped up about a product - it's usually pretty much worth it. This is 100% the case for this highlighter. The tiniest amount of product goes an incredibly long way, meaning that the higher price is well worth it. The drops have a liquid metal look to them, however this can be blended out easily to create a less dramatic look. No matter what though, they are absolutely stunning and finish off a look beautifully. Have you tried either of these products? What products have you purchased recently?